Utilize the Sounders FC app to enhance your matchday experience with mobile ticketing, rewards, Ticketmaster integrations and digital access to the matchday magazine. Stay up to date with team news and videos, complete MLS standings, and in-depth rosters for Sounders FC and S2 in addition to extended opponent rosters and away stadium travel information. 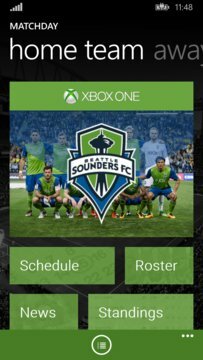 Play official Sounders FC app games and add the season’s schedule to your device. Receive the latest team breaking news and offers via the “offers & promotions” feature of the app and through push notifications. 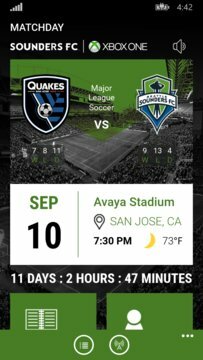 Your phone is your ticket to everything Sounders FC! Start today.